In his talk, Winch points out that society tends to favor the body over the mind. We often hear that we should eat healthy, avoid smoking, pass on good habits to our kids and do many other things that are good for one’s body. But few people apply the same general habits to psychological health. We live in an age that favors reason. Emotions carry a negative connotation. Being emotional is perceived as being weak and unstable. We like to think of ourselves as perfectly reasonable creatures, but emotions do influence our choices a lot. And that’s not a bad thing! 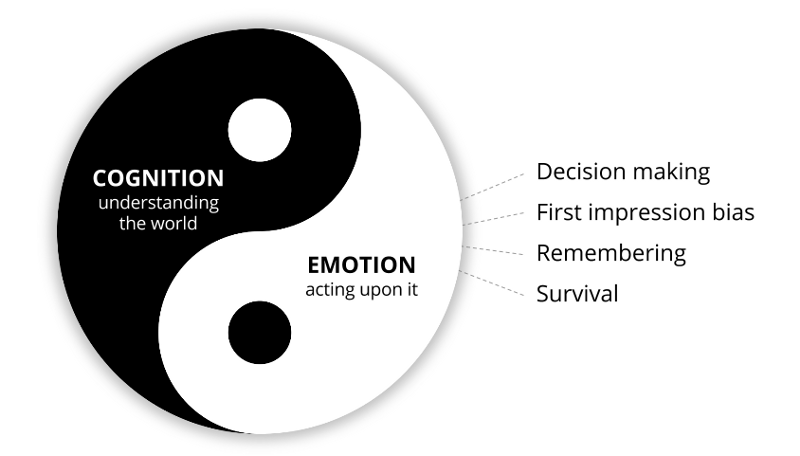 Emotion and reason complement each other; those are the foundations on which our brains are established. We cannot separate thinking and feeling. We cannot get rid of emotions; we should not ignore them. They are useful for enabling the cognitive part of our brains. António Damásio studied people whose parts of the brain were damaged, particularly those responsible for the emotional system. He discovered that they lost their ability to make plans or make decisions. First impressions are an emotions-based phenomenon with huge, long-term impact on perception. It is due to emotion that we are able to remember. We slot life events triggered by strong emotions into our long-term memory and remember them with great detail. Negative ones like our first fender bender or being victims of pickpocketing and positives ones, like our first crush or our first kiss. The strong emotions associated with these events make them important for us. All of this is encoded in our genes as a survival mechanism. It is thanks to emotion that we learn what’s good for us, what we need to seek for and what is bad for us, what we need to avoid. Emotional design is not a design discipline, like graphic design or car design. It’s also not a step in the UX design process, like interaction or visual design. Emotional design is a layer, a perspective. It should be sprinkled on top of the whole experience. It’s the little cherry on top, the extra mile that makes people love a product. There’s no recipe for success, but there are some guidelines for adding an emotional aspect to your designs. Psychologist Alice Isen discovered that people are better at finding solutions when they are happy. During her experiment she asked people to solve difficult problems, which required creativity and out-of-the-box thinking. One group of participants started immediately trying to solve the problems, while the other was given a bag of candy and watched a bit of a comedy film before undertaking their tasks. It turns out that the second group ended up being better problem solvers, because they approached it feeling better and more relaxed. When people are anxious and stressed, they narrow their thought process and can’t come up with many solutions. If we think about people using technology in these two types of circumstances, we can imagine happy users being more tolerant of crashes, for instance, and more willing to try harder when using software to achieve their goals. Some may say that functionality trumps usability or even the pleasure of use. Some think that if the functionality is there, if the product is robust and powerful but not necessarily pretty or easy to use, people will still end up using it. That may not be entirely true. Attractive things work better, as was proven in a study conducted by two Japanese researchers?—?Masaaki Kurosu and Kaori Kashimura. They did usability tests with two ATMs. The functionality was the same; the number of buttons and steps people had to perform were the same. But while one ATM was pretty to look at, the other one was ugly. It turned out that people preferred using the pretty ATM. This experiment was later repeated in Israel by Noam Tractinsky who thought the results were biased by cultural aesthetic preferences. 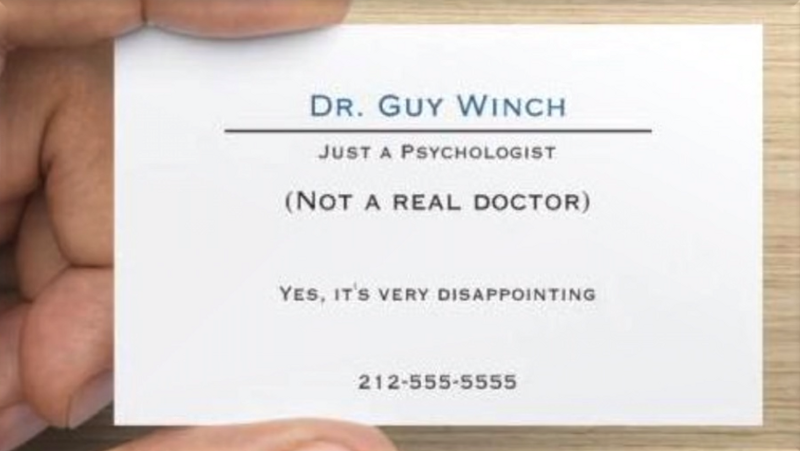 His results were exactly the same. Think about Apple. Are Macs functionally better than PCs? No, and they even are more expensive. Yet so many people prefer them. Apple gives a lot of attention to emotional design and they generate huge revenue. According to Don Norman, good design addresses 3 levels of how people perceive and process the reality around them. The visceral level is subconscious, instantaneous and based on sensory information. It’s related to what we see, hear, smell or touch, everything that forms the basis of our first impressions. If something is sensuously pleasant, we start preferring it. We are biologically prewired to like vivid colors, symmetrical faces or harmonious music, and to dislike bitter tastes, asymmetry or loud sounds. That’s why, for example, someone may choose to buy pricier bottled water due to its pretty packaging. Later they may even use it as a vase for flowers. They take the brand home. The behavioral level is also subconscious and has to do with our interaction with an object. Is it easy and effective to use; does it do what we expect? If it does, this will give us a feeling of control and, therefore, one of pleasure and satisfaction. The earlier visceral reaction will just reinforce the behavioral perception. The reflective level is the only conscious one. When we start thinking about our experience with an object, our rationalization kicks in. We evaluate its functionality, value for our money and the advantages it brought to our lives. When we stick to a certain product for longer, it ends up acquiring a place in our lives. We get stories to tell our friends. We develop emotional bonds with this object. Here’s a personal example of how design can affect emotions. I don’t like being unpunctual. I start stressing out when I realize I’m about to arrive late. Stressing out is bad for my health, and since I tend to drive more recklessly when I’m in a hurry, it also gets dangerous for other people on the road. When I started using GPS apps I noticed that a little piece of the user interface, the estimated arrival time, made a big difference! Knowing what time I will arrive makes me that much calmer… even if I’m going to be late anyway! MailChimp does an awesome job with emotional design. Creating email campaigns is their platform’s main use case. You may not realize it, but this actually takes a lot of work. MailChimp recognizes their users’ effort and praises them by presenting the final action of sending the campaign as the moment of glory! Fred is MailChimp’s mascot, and the way MailChimp found to celebrate some of the users’ success was for Fred to raise his hand for as many high fives as users want. But his hand will get redder each time the users keep clicking. This went viral. MailChimp users started sending them emails and posting pictures and videos on Facebook and Twitter of them high-fiving Fred. Someone even started producing these huge Fred gloves, with which people started having fun. All this generated huge hype. Just imagine the impact it had on MailChimp’s brand awareness and conversion rates! The Small Book of The Few Big Rules is the culture book we have at OutSystems. It’s filled with illustrations and small comic strips featuring several characters. 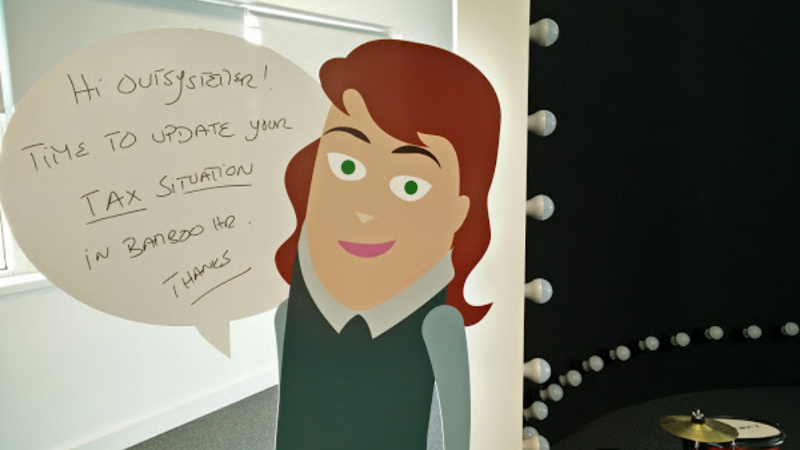 Our People Ops team recently had the brilliant idea of printing out real size characters and placing them all over our office to use them as a communication platform with employees. This turned out to be much more effective than sticking A4 sheets of paper with announcements on the walls. Moreover, people started interacting with the characters. They write funny responses in the speech balloons and take the characters to office parties! The intelligent application deployment process is one of OutSystems Platform’s most touted features. When we developed this system, we decided to enrich the user experience with an animation that literally illustrates the status messages received during the deployment process. When we created the first versions of the animation, some people were worried that they would not be appropriate for an enterprise-grade platform. But the reception was great from our clients, as they really enjoyed watching it! Images and movement are more interesting than static and “dry” text status messages. Thanks to the animation, users get a better grasp of what is happening under the hood and they feel more in control of this complex process. Natalia is a UX and visual designer for OutSystems with a goal to make life better for app developers. 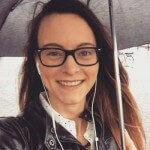 She has a passion for product design, and loves finding ways to innovate using OutSystems.